If you have a Thomas & Friends fan in your house then you’ll love these Thomas the Train Engine Cookies! In honor of the launch of the new Journey to Rewards Program from Thomas & Friends I thought I would share my Favorite Sugar Cookie Recipe along with step by step instructions on how you can make your own Thomas the Train Engine Cookies! Get all the details and Check out the Journey to Rewards Program Here! Hint: You can earn FREE Walmart Gift Cards when you purchase Thomas & Friends Item from Walmart and Scan Your Receipt! If you are planning a Thomas & Friends Birthday Party then make sure you buy all your Thomas & Friends items at Walmart where you can earn Free Gift Cards on your purchases + make these adorable Thomas the Train Engine Cookies to help you celebrate! I am giving away a $50 Walmart Gift Card to get you started with your Thomas purchases at Walmart. You can read all about the Thomas & Friends Journey to Rewards Program and Giveaway. The Giveaway Ends on April 14, 2014 at 3 p.m. EST! 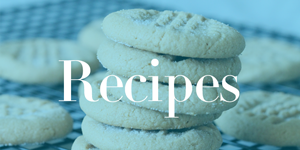 The first step is to make a batch of Sugar Cookie Dough, This is my All time Favorite Sugar Cookie Recipe, you can use this for any rolled cookie so it’s perfect not only for Birthday Parties but also for Valentines Day, Christmas, Easter and more! Next you’ll want to make several batches or Royal Icing. Here’s my favorite recipe using Egg Replacer which is a vegetarian egg substitute. While we eat eggs I like this option in icing because I am not going to be cooking the icing and I don’t like using raw egg whites. Slowly Add in 1 tsp. of water at a time to change icing into a flood icing. NOTE: You will need 2-3 Recipes of this Icing to create all the colors you need for a full batch of cookies. You will get about 3 dozen cookies out of this cookie dough recipe. Here comes the fun part! Creating the Cookies! At first I couldn’t decide on how to shape my cookies then I spotted this Christmas Bell cookie cutter, I instantly knew this one was perfect! The top of the bell works perfectly for the steam whistle and then I used a knife to remove the bottom of the bell so that it looked less like a bell and more like Thomas :) Next up, creating the concept. I used a set of Invitations I picked up to design the look of Thomas that I wanted. Then I traced the cookie cutter and grabbed my kids markers to fill in what areas needed to be what color. I’m not very good at seeing things in my head so I needed the physical representation of what colors needed to go where. Now, you should have 2 things ready to go by this point: Cookies Cut out and baked, Royal Icing in Red, Gray, Blue and Black! You’re ready to start icing the cookies. The first step is to outline the cookies with a piping icing (This is before you add the additional water)I outlined my Red, Black and Blue and just used a thick gray line for the stripe of gray. Allow the Piping icing to dry for a while (30 minutes to 2 hours – the longer the better), Add a small amount of water to the piping icing (Around 1/2 tsp.) to create flood icing, then you’ll be able to easily fill the cookies in without much effort. A word of caution here, don’t use too much icing because it can overflow the boundaries and create messy cookies, I like to get it close to the edges then use a toothpick to slowly fill in any holes.Set your cookies aside and allow them to dry for 8-12 hours at a minimum, Overnight also works really well! Now it’s time for the Faces. You could easily pipe your faces onto the cookies and avoid this step, but let’s be honest I was pretty sure I would end up with a MESS if I tried to make exact circles with icing :) I used half an Oreo cookie for the face along with 2 Wilton Candy Eyes and I piped on the eyebrows and smiles.The gray nose and cheeks were just piping icing onto wax paper, then I placed them on the cookies after I piped on the smiles.Creating the Yellow Headlights is also super easy, I used Yellow Candy Melts because I already had them on hand, but Yellow piping icing would work also. You can create these small circles using royal icing on wax paper and allow them to dry so that you can easily place them in the right spot when you’re ready to assemble your cookies. Once everything is dry you’re ready to assemble your cookies! Grab some leftover royal icing and attach the headlights and faces to your base cookies. Allow these to dry for around 2-4 hours until the icing sets completely and you’re ready to serve! Now you’re ready to serve at your Thomas & Friends themed party! There are so many ideas for filling a party full of Thomas & Friends Favorites! I love these White Chocolate Dipped Oreos with Red & Blue Sprinkles, such a fun addition to your Thomas & Friends Party!Don’t forget to check out the Thomas & Friends Journey to Rewards Program at Walmart! You can earn FREE Walmart Gift Cards when you purchase Thomas & Friends Items! These are fantastic! My son is 12 so way past the Thomas stage, but I loved those little trains. This would be great for a birthday party.